While playing golf in Dunedin, the “Edinburgh of the South”, you really must ‘tee-it- up’ on a Scottish-style links course. Chisholm Links Golf Course is the only true links course in Dunedin! With stunning beauty and ocean views, the course plays to a Par 71, measuring 5700 metres (6300yds). Golfrankings.co.nz is New Zealand’s leading ranking of golf courses throughout the country with 50 golf professional and golf industry personnel involved in the ranking process. Come and see why Chisholm Links is Dunedin’s best golf experience! Chisholm Links is a member’s golf club that offers a warm environment for local and visiting golfers. Our members are known for there friendliness and local hospitality and we look forward to having you come and play our golf course. The course was developed on reserve land during the 1930's depression years. 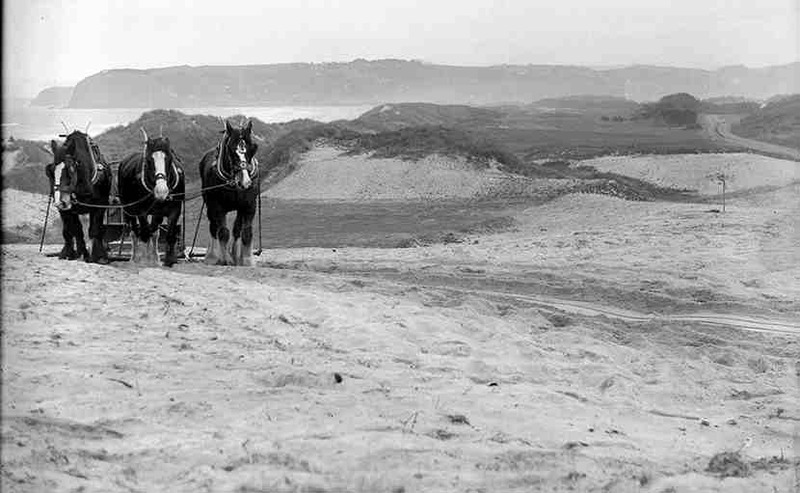 The original name was Ocean Beach Links. From these humble beginnings it has become one of the best links courses in the country. Former European and Australasian Tour professional and leading NZ Golf Course architect, Greg Turner, thinks Chisholm Links is pretty special. He said, "It has good turf and it's on good golfing land. 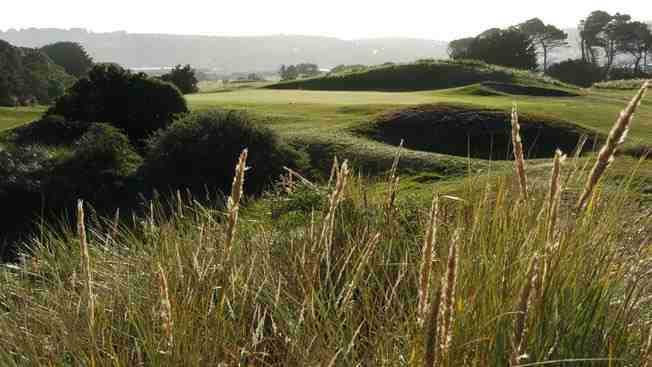 It offers classic links golf. I think, that after Paraparaumu Beach, it's the second best links course in New Zealand". The links hosted the three Australasian PGA Tour Events in 2001, 2002 & 2004 along with the New Zealand Amateur Championship in 2003. Chisholm Links is not long (Par 71, measuring 5700 metres/6300yds) but is a true test of golf - few players get the better of it. All the professional players who have played the course enjoyed the unique character of the course and rated it very highly. The undulating terrain and its coastal climate offset the lack of length. There are wonderful views over Tomahawk, St Kilda and St Clair beaches. Along the top of Holes 8, 9, 10 and 11, the course provides some of the most spectacular ocean views to be found on any golf course. The clubhouse at Chisholm Links is modern and offers a good bar service and food to members, guests and green-fee players. It is also a great venue for special occasions and corporate functions. On site is a well-equipped Pro Shop with the leading brands of golf equipment and excellent services for local and visiting golfers. Definition of a Links Golf Course… Where the land links the sea.